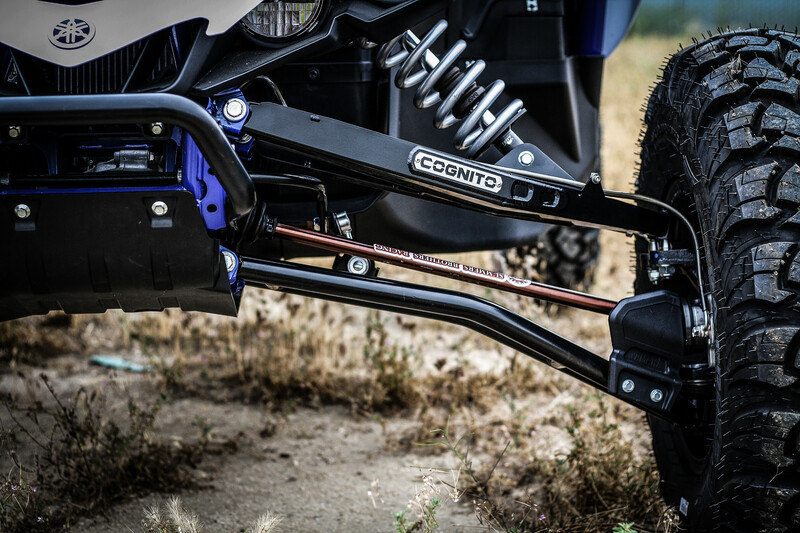 If you are looking for more suspension performance for the YXZ1000R, the Cognito long travel kit is the ultimate suspension package. 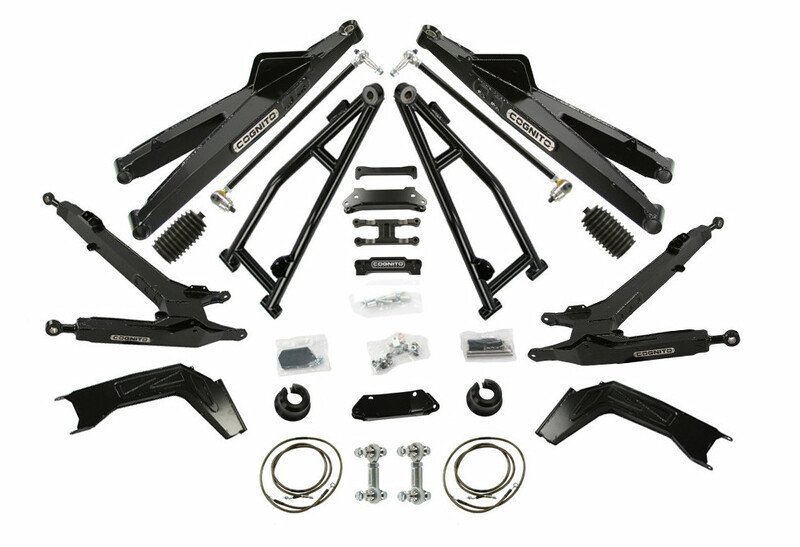 This kit increases the width of the car by 4.5 per side and moves the rear wheels back ½ for optimal CV Axle angle at ride height. 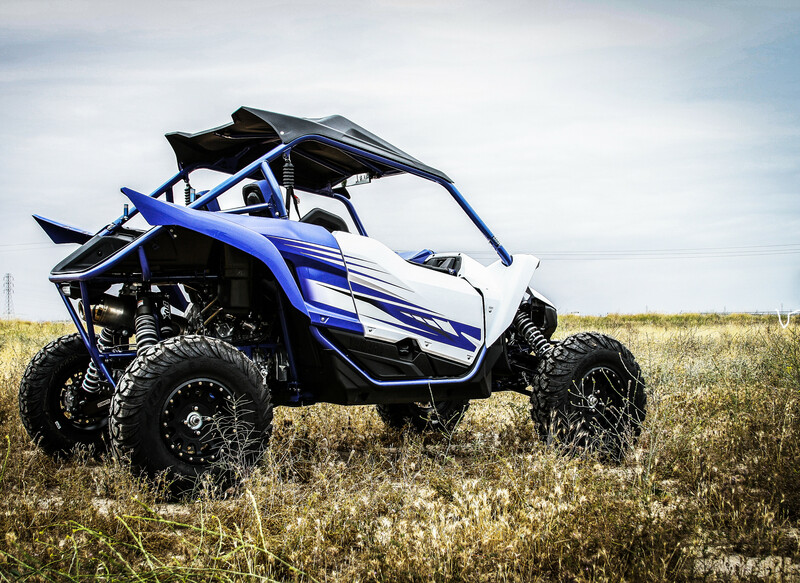 The front wheels are not moved forward, in order to keep stock steering geometry and to not increase leverage on tie rods and the steering box. 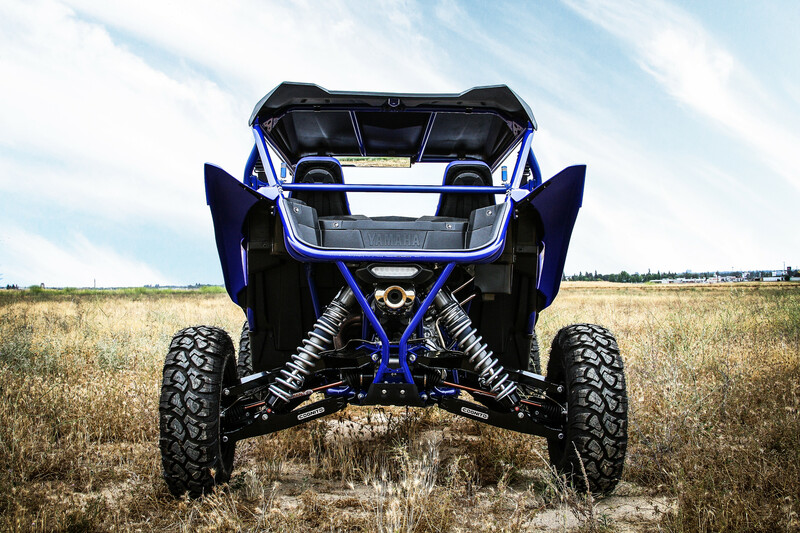 Front and rear shock towers are integrated in order to optimize the shock geometry and the ground clearance at full compression. 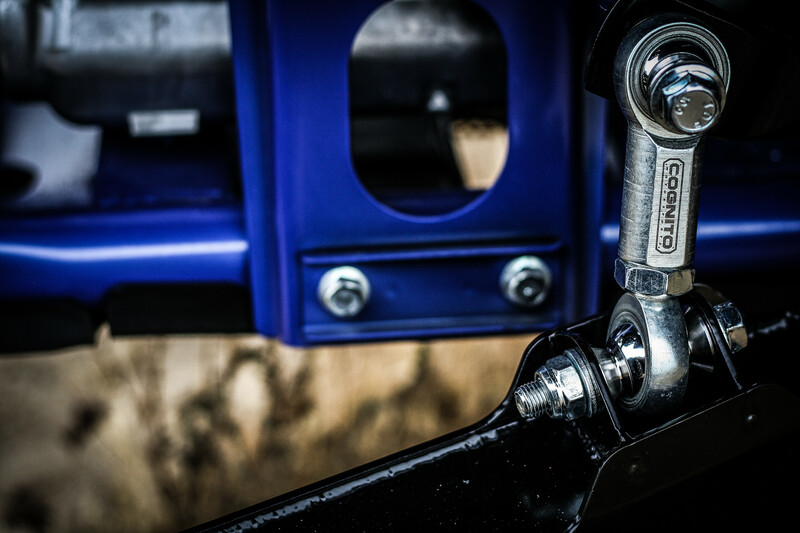 The front shock tower also incorporates a clam shell to strengthen the frame in the upper shock mounting area which is known to be weak in stock form. 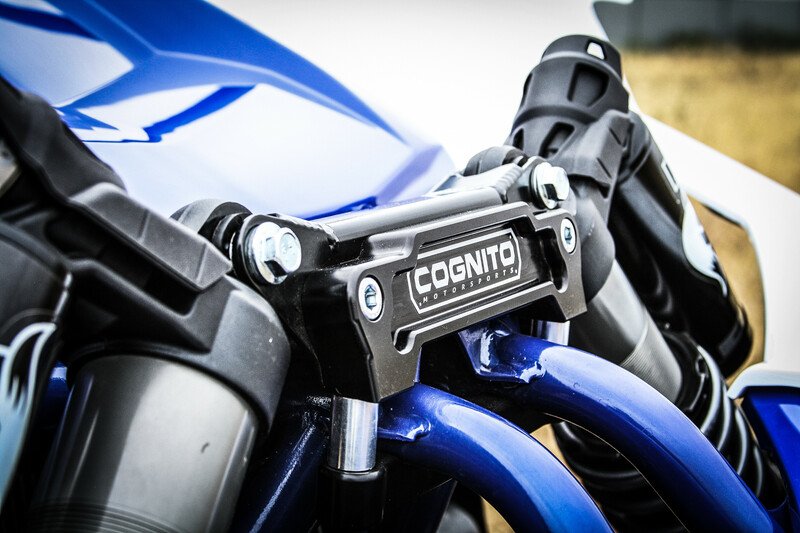 The Cognito sway bar end links utilize rod ends and stainless steel misalignment spacers to create a stronger alternative to the OEM end links. 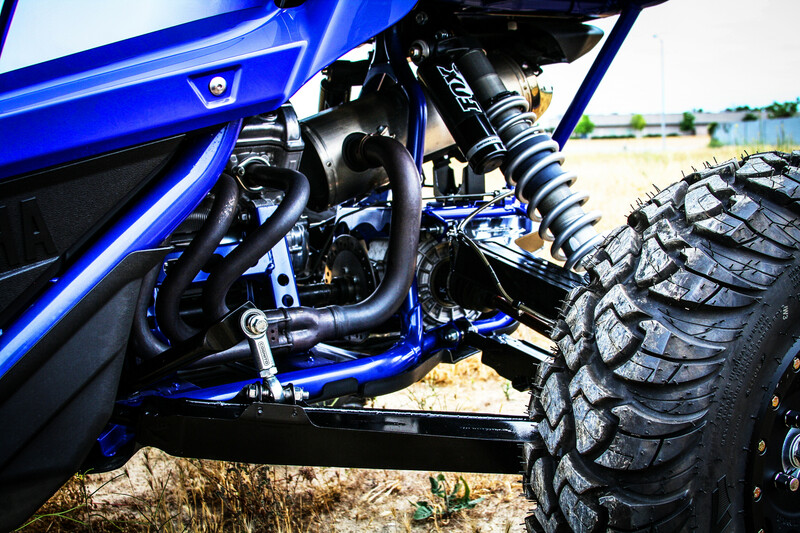 The tie rod kit is designed for both recreation and competition, providing a heavy-duty and lightweight solution rather than a simple extension that other competitors use. 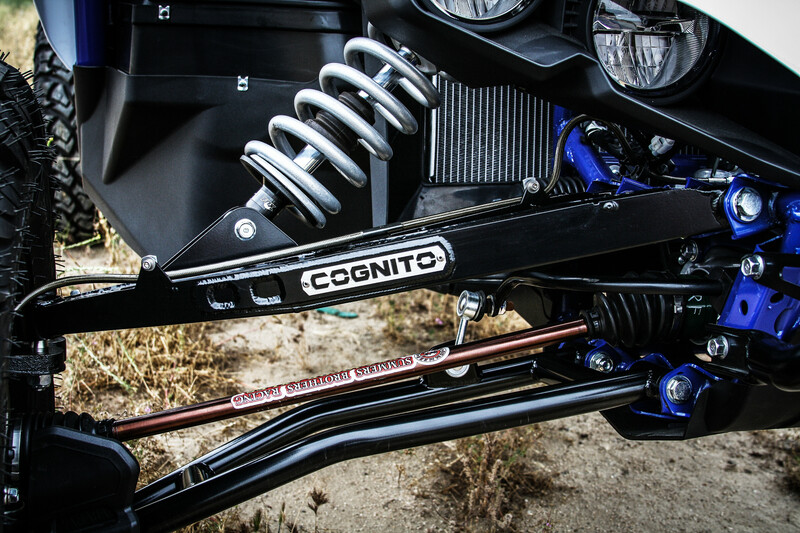 Shock upgrades are also needed and sold separately, and Cognito has tested in order to come up with a calibration that offers more ride compliance and comfortability, yet improved performance for aggressive drivers. 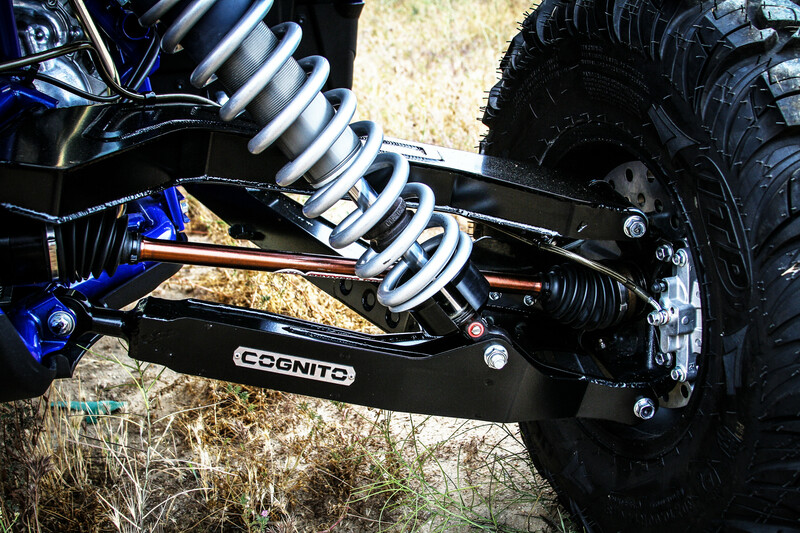 This shock upgrade is sold separately and shocks must come to Cognito for the upgrade. 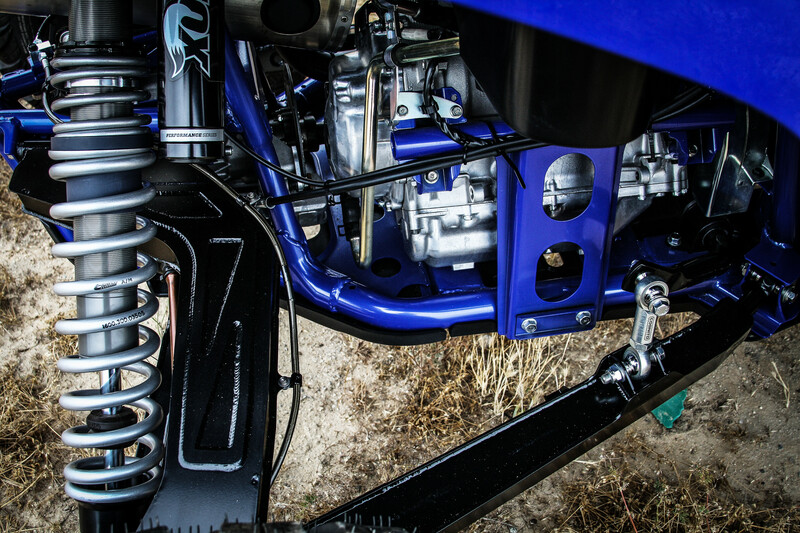 Extended length axle shafts are also required, sold separately.